Before I begin tonight, I just wanted to say thank you to those of you who emailed me this weekend about my ebook, “My Blogging Tips.” Apparently revamping/growing your blogs is a popular New Year’s resolution, and I’m thrilled that you found my ebook helpful in that department! 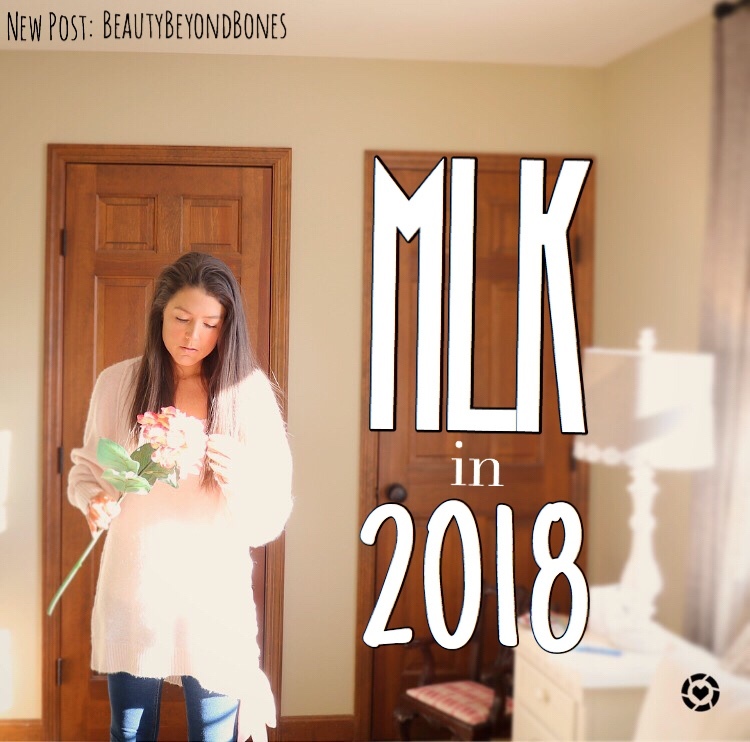 This blog would be remiss if I didn’t take a moment to honor the great Martin Luther King Jr.
I’m going to be really honest: there is a level of self-consciousness and discomfort that I feel as a middle class, American, white girl, talking about this unequivocally important day in history, but particularly black history. I feel uneasy, because this was not my fight. I have had the privilege of never having to face prejudice, or racism, or unequal treatment, simply based on the color of my skin. And thinking about the ultimate sacrifice that MLK Jr. paid, fighting for the basic human rights that every single person should possess, I am just humbled and honestly, ashamed that this great country failed so despicably hard, less than a generation ago. I cannot even begin to A) comprehend the plight faced by black and people of color during the era of Jim Crow and segregation. B) Pay proper respect and admiration to a man so brave and stalwart in conviction. C) Express the disappointment in my heart for the actions of a torn and broken America that systematically sought to suppress the liberties and rights of our fellow brothers and sisters in Christ, simply because of skin color. I’m going to India next month. And for the first time, really, ever, I am going to feel, first hand, what it truly is like to be in the minority. First: the fact that you can’t drink the water, or eat fresh foods that have been washed in the water. That eliminates literally every single food I eat on my therapeutic diet for my Ulcerative Colitis. I am going to be living off of Larabars and trail mix for 10 days. Secondly: I’m nervous about the bathrooms. I’m envisioning holes in the ground, a la Slumdog Millionaire. Let’s just say, mama needs her Charmin Ultra Soft double-ply. I’m scared about the crazy driving situations. Getting sun burned. Being awkward at the wedding or doing something culturally insensitive. I’m nervous about malaria or picking up some sort of rare disease that my 6 vaccines failed to cover. But you know what I’m not nervous about? Yeah, I’m going to be probably the only white girl at this wedding. But you know what? People are people are people. And each person is a beautiful, intricate masterpiece, crafted by our One, loving Father. Sure, they’re going to speak a different language, and wear clothing that looks different from what I’m used to. And they’ll have different customs and traditions. Yeah, they’ll eat different foods than I do, and live differently. But there are things that unite us all. Things that MLK knew too. A person’s heart is the same, no matter the color of their skin, the country they call home, the religion they practice, or the language they speak. And that heart deserves love. And respect. And all the things we take for granted in this country. I am excited to experience a new expression of God’s creativity, as seen in the vibrant cultures and music and heritage in India. Everywhere we go, every person we meet, shows a glimpse of God’s heart and God’s character. After all, we are all reflections of His perfect love. And so that’s one thing I’m not afraid of. MLK led such a powerful example of living that out, even when it was dangerous. Even when he faced resistance. Even when the mountain of pushback seemed insurmountable. He shone his light. He was that light in the darkness. I’d be naive to think that the fight is over. Sadly, there are still people with hatred or ignorance in their hearts. And I pray for those people. Because at the end of the day, we are all brothers and sisters, formed and loved by the same God. John 13: 34 – A new command I give you: Love one another. As I have loved you, so you must love one another. Next Post Grain Free Veggie Burger Stacks! You seem like an amazing person and the way you write is just amazing. I wish you the best of luck through 2018! That was beautiful, even for you. So much to love. I wish you could bottle that attitude and sell it. I was raised lower middle class, mixed neighborhood. Guys were guys. Kids aren’t born with hate they learn it. I try to see people as people as well. This was a very timely and self-aware post. I appreciate that. I’m not American, but I am a dark skinned black woman; and while in the Caribbean, I don’t personally face much (MUCH) racism, there is a lot of colourism here (prejudice simply because of having darker skin, even within the same race)…so, yeah prejudice based off race or skin colour is one of the pettiest but sharply hurtful occurrences known to man. MLK’s grace in fighting against such prejudice and his hope for the future remains an inspiration. One note, just to bring an extra revelation to some of the unwarranted struggle black people go through, in your trip to India, even though you will be in the minority for a bit, because you are white, your experience there could possibly still be very different from a black person. There is such a privilege attached to being white internationally, that in several countries you will be treated better just because you are white. Being black, even as a foreigner/tourist, you’re not necessarily treated as hospitably because of stereotypes from media or just simply not being considered as worthy enough…because you’re black (unless you’re a celebrity or something). It’s such a deep rooted and wide spread prejudice that sometimes I wonder if it will EVER be better in the way MLK ultimately hoped it would be. Either way, I do not discredit the many improvements that were fought for and achieved, after all I am enjoying such freedoms today and I hope the current racial unrest doesn’t set us back a couple decades. Hi Stephanie, I don’t mean to crash the party, but wanted to jump in to let you know I appreciate you sharing your experiences. I find fascinating your cross cultural remarks. There is a certain amount of passive racism just by accepting a system that benefits you and disenfranchises others of a certain race. I don’t know the answer, I just know that racism isn’t limited to those who have active prejudices. It’s a hard word, but one that I think we white people need to hear. Great insight, and enjoy the wedding. Being honest with the way things are takes courage. We have all been through our share of what Race Relationship have to offer our community. Let us all remember that our contribution will make the difference. Good piece. John. I hope that you enjoy your India trip. Thank you also for your words. We must remember that Jesus said that we must love our neighbors (everyone we come in contact with) as ourselves, and we must do onto others as we would have want to be done unto ourselves. P.S. Your beauty goes way beyond your bones. You are very graciously welcome so much. YOU are a kind lady. Hugs and Love back to YOU!!! Great work on this essay. This is a great and necessary read!! Thank you for simply being up and just saying “I don’t understand what you are going through as minority. I think if more people had a desire to truly learn about one another we could at least begin to turn around racism. Even if it is just one person!! Beautiful post! I pray that God keeps you safe and teaches you life-transforming things during your time in India. OMG! I cannot believe you are going to India!!! FYI I am Indian and was born there but raised here. It makes me so sad that you will not be able to eat the food there… in my very biased opinion, it is the best food around especially the stuff on the street. About the restroom situation, I don’t think you have to worry at all they make toilets like the ones here if you stay in a decent place not sure about the Charmin stuff but you can buy toilet paper there I think the people who invited you already know that… You don’t really have to worry about picking up something that your vaccines didn’t cover….. but you may have some GI issues or an infection but nothing life-threatening. Don’t worry about being culturally insensitive…it’s not going to be that bad. Just have fun at the wedding!! enjoy the clothes and people and THE FLOWERS!!! The sunburn and the traffic, unfortunately, will be something to look out for but you will get used to it after a couple of day’s, the smell is also going to take a while to get used to also. Anyways sorry for the extra long comment enjoy your trip and let us know how it went. I would love to see you in a saree!! Thanks for your blogs. It’s great to read from those who understand the restoration of the broken. I would say that my blogs (such as today’s) stem from moments where the outflow needs an outlet but to be disciplined, I must say that I am impressed that you outlet as much as you do. Keep ensuring you are being refilled… in order to continue to be poured out as you are. I see a strong women , still inspiring and encouraging others. You are definitely enjoy this trip. It would be a huge fun. You will be refreshed as always new places are good to discover and a great location to know and see new people. I will see your new posts about the hospitality , love and hope and life in people. India is a country of great history of people. Please shot some awesome photos and post it on your blog. Thank you for this – a reminder for each and everyone of us to be humane in every single act or word. Like you, I was born into a middle class white family and have not known discrimination because of my race. However, unlike you, I am old enough to have been alive during the Civil Rights movement of the 60s, and was living outside Washington, DC when much of the unrest was hitting its highest level in the country. It is strange to be an outsider and try to “understand”. We can’t and shouldn’t try to act like we do. As for your trip to India, there is much to be anxious about in some ways, but not fearful. About 40% of my ministry is with people in India and they are wonderful people who will welcome you and see you for the lovely and beautiful young lady you are, not as the “only white girl in the room”. I work a lot. I also end up at the margins. If, I was meant to be where things are nice I would have been born that way. There are some ideas that don’t cross cultures and the arguments start but love, always makes sense. As many languages as I’ve picked up it has “isness,” love is. I agree with that here. The freedom we seek as Americans is at times not done with love for others. It is unfortunate. Be careful not to dilute your experience there with expectations. It is probably the most diverse country in the world. Maybe, some dashing guy from, Nebraska will be lost in the crowd. I love your words too. People change. You remind of Rosamund Pike. Lots of range and a desire to explore uncomfortable topics. oh haha gotcha. yeah, i don’t think i’ve ever been! have a great trip! Caralyn, I will pray for your trip, and very much look forward to at least one post when you return, describing all the sites and sounds. You are a gift! Have fun in India. worst comes to worse at least you will have gotten to see India. My funny story- my husband is white and we were roadtripping from CA- Wis. Whenever i told any of my non-white friends that we were cutting through Montana i would get terrified looks. Needless to say, the people of Montana were perfectly friendly. Hey Caralyn. God’s Blessings and Protection as you travel, and travel around India. “Be Caralyn” as you are there, and you will brighten the lives of many people. Everywhere you go, the Light of Jesus Christ within goes, and reflects His Life and Love. Looking forward to reading about your trip. So excited for you and your trip. Can’t wait to hear about it. This was a nice reflection. What a beautiful post! I love his quote and the quote from the Gospel of John. And I was also blessed that you mentioned that the fight is not over. White supremacy people are on the rise in this nation, and it’s horrible. My wife and I are inter-racial and we personally have experienced prejudice, although it has been subtle, it is also painful. Perhaps for whites that are well off in our country the most important thing is to be aware, and to be a voice of love and compassion, which is what you have done here. You have joined arm in arm with others, with the same concerns. And your trip to India is so exciting!! You will be fine. I wish you great peace and blessings. First and foremost, pleeeeease be careful on your trip to India!!! I’ve never been, but I know people who have. Even when being very careful, one or two still got a bug of some sort. I will keep you in my prayers for safe travel and safe eats! God is always the answer, right? Whether the problem is drugs, war, prejudice, violence, guns, greed, etc. there is only ever one answer. God! I’ve been to Europe a few times and worked with people from South America, China, and Australia. Even in Rome where we didn’t have a clue to the language, if we just were ourselves and were nice to people, we never had an issue. There was one time in Paris where things didn’t go too well, but that’s a whole other story. You remind me of stories from WW I of German and American troops in their respective trenches singing Christmas carols TOGETHER on Christmas Eve. The Americans outside of Bastogne in WW II during The Battle of the Bulge could hear the Germans singing Christmas carols on Christmas Eve too in the distant woods. No one on either side really wanted to be there. You might have heard of the rhetorical question asked during the Viet Nam war; “What if they gave a war and no one came?” What if they gave a prejudice party and no one came? As for India, of course, you being you, I know you’ll do well. Especially if you dance!! I’m new to blogging, but I can see that you have a true gift, your writing is a gift, God is writing through you! Praying for you on your journey, Caralyn. Me and God have faith in you! What’s the story behind this trip and wedding? You so beautifully and powerfully paid tribute to one of our great National heroes! This was an awesome post. We who have not walked in those shoes have no way of comprehending what people of color have had to deal with over the centuries! It makes me ashamed of American Christianity to see that this persisted over so many decades and that God fearing whites allowed this for economic and social advantages and privileges! Bellissimo, My Dear! Oh, forgot. You might enjoy the Dr. King quotes I posted today. I spent two weeks there back in 2014, and I can tell you that the bathrooms in the Mumbai airport were the best I had ever seen… Of course, there were a couple “squatty potty” stalls and a kitchen-sink spray nozzle next to every toilet, but everything was super clean. I can’t speak for where you are going, but if it is a traditional Indian wedding, it is going to be huge and colorful! The wedding for one couple I stayed with had over 2,000 guests. If you do want to try any Indian cuisine while you’re there, just eat yogurt regularly for a couple weeks before you leave… and eat everything with a healthy dose of curd there: it helps calm the spicyness. Caralyn, you shouldn’t feel uncomfortable as a “white” talking about MLK, a man who wanted equality for ALL, but I do understand your discomfort. In this world, color matters, and although it is a very sad and ugly truth, it is still a truth. As a mulatto, I have been verbally and physically abused by African Americans in the past because I refuse to discount my mother’s rich European history by referring to myself as “black” just because my skin color is darker than hers. The fact that my biological father was “black” does not change the fact that it was my “WHITE” mother who took the effort to raise me on her own for eight years, or that after that she married to, and I was adopted by, a “white” father. They have both raised me so lovingly, proving that color and biology have nothing to do with true family, but sadly not everyone understands that yet. Hopefully, one day they will. Aw thanks again 🙂 I appreciate your prayers!! Someone dear to me visits India regularly. I am excited to hear about your trip. It will be very eye opening and such a great opportuntiy for you! I appreciate your posts and your candor. What a great man MLK was! He fought for human rights and he fought without violence. And you are right; many still need to learn from him. AS far as your trip, I have gone on mission trips to Haiti and I dealt with similar things, even being healthy. The people I was with made sure we had bottled water and the food was relatively safe. Once I had some stomach issues that lasted a couple days, but not too bad. Also, I packed several rolls of my TP! It probably depends on where in India you are going, but maybe you will be in a more modern (not sure if that is the correct word) part of the country that may not be so bad. Either way, the experience will make up for it. And like you said, it’s the people that matter. I love In the beginning you bring up the fact you have no idea how people feel being the minority. I know it’s a part of your style to be honest. I just felt like today this post showed more of a vulnerable side to you. Best of luck on you trip to India! Yesterday we went to our local Cheesecake Factory for lunch. As usual, 40-50% of the clientele were African-American. No. Big. Deal. I think back to my childhood in the 1960’s Jim Crow South, when Civil Rights crusaders were arrested for attempting to eat at Woolworth’s lunch counters. Today try to find a Woolworth’s lunch counter. Try to find a Woolworth’s, for that matter. The King Legacy is everywhere. India, wow, that’s quite a travel…just be safe, careful, but of course enjoy as much as you can! Curious for posts afterwards. in case you plan dubai let me know. big fan! Thank you so much for this. I hope you take something from your trip and that you have an exciting and safe adventure. 2 Timothy 1:7 comes to mind, that’s the “No Fear” verse. Benjamin Biddulph is correct about Indian’s following many gods. The fun thing is they are interested in God too, and most are bi-lingual. I’m blessed to do Web-ex meetings with Indian work partners. One work partner/friend attended our church when she was in the US. I’ve prayed for her several times, she is thankful for those prayers. You will have a most wonderful, delightful, intriguing time in India. Here’s why, you are part of the true vine. You know his love, he knows your heart. – Time for prayer. We adore you, and are in awe of your creation. In our selfishness we mess things up, and sometimes unintentionally hurt others. Please forgive us, and assure us we can forgive ourselves. Thank you for all the blessings we have received, both seen and unseen. We join together with You, and Caralyn in her brave public fight against ED. Gift Caralyn with an extra layer of armament for the wedding trip. Send your Holy Spirit, loose her protective angels, and bless her with productivity, and everlasting international relationships. Yes, people learn hate and I think a lot of them stay in their little bubble, in their little corner of the world without experiencing other peoples or cultures, so they are clueless and maybe fearful of someone different than they are. I grew up in a small Southern town and it was very much that way, and still is to some extent. I married my husband who is from Texas and works in professional baseball and he took me away from that, or God brought me a way out of that. I really think that saved me from remaining in my own little spot. I have experienced so many things and so many people from other countries who are in baseball, and you are right, I learned that people are people no matter where they are from. Most of them are loving, beautiful people and one thing about baseball, you don’t see skin color. You learn to be a team striving for the same goal. I wish the world could be that way, but it’s not. We can only do what we can to try to make things better. Have a great trip…I know it will be amazing! It’s more correct to write Black, with a capital “B” History or African American History. Black in reference to an ethnic group which is defined by color, “B” and therefore is a proper noun. You have just as much right as anyone to write about any topic. You’re American and African American History is American History and therefore it is your History as well. As I wrote to you in my mail to your BBB yahoo address, there are no coincidences, and reading your post after such a long sabbatical from blogging, at such a time that you mention India as the place you’re going to visit in a month, is like sooo weirdly nicely strange, if you know what I mean. I’m Indian (that’s not why I’m called Indi though), and I live with my family in New Delhi. I can quite understand and resonate with your apprehensions about my country (because many, if not all of them have some validity), however, it’s enormous wealth of culture and diversity, extraordinary beauty and long, long, long history can be often forgotten, or over-romanticized, just like the fact that there are both terrible and absolutely wonderful people who live here, just like in any other country. The basic thing is that we are a VAST nation, and understanding us can be extremely confusing, frustrating and challenging, because there really is no one way to look at us. However, it’s an experience worth having, I think. I have lots of students who are from the US, and I totally tick with them when they express how they deal with life here, as my tiny family of 3, although Indian, is mixed with 7 different ethnic/racial lines, and speaks multiple languages, and is culturally very hybridized, and we see both sides. So, I’m really excited that you’re visiting, and if you have questions about how to clue into things while you’re here, or even just questions, I’m glad to be available to run them by, if it’ll ease some apprehension. You’ve got God ahead of you, and He parts the waters, saves you so that the flood doesn’t overrun you, and changes you though it, and blesses each experience with His fruit You’re so welcome to come and visit this land, for whatever reason. And so is anyone else. If anyone who sees this comment ever wants to know about India – I’m here to contact and chat to, if you need to. I’m not the greatest authority, but I do understand how complex my nation is and I would hate for people to be frightened off visiting or even learning about us just because of limited information or perspective. Caralyn, I know that New York was always the city of a million broken dreams for me because of the books I read, movies I saw and songs I heard. Your perspective of the city you love quite turned my head around that time I think I made a comment on a post you made with New York in it. I think I could visit it now with my family and not be so totally afraid of it, and it helps to know you may be lurking there somewhere! I believe God prepares friends beforehand for us wherever we go. So, you’ll find my mail to you in your yahoo box, and if you are anywhere near my city, you’re so welcome to visit my family, and bring whoever is with you. If not, blessings on your trip, and may you find more answers than you ask for, and may the experience truly be filled with God’s grace, protection, provision and Very presence. Enjoy your time in India. On my last business trip there, I was invited to a wedding, and yes, my associate and I were the only white people. The holes in the ground are not common in the major populated areas. It depends upon where you go. What I noticed about the people were two things. They were happy people. And there were so many that were poor, far beyond what you’d see in the US. I was pick-pocketed by a girl who couldn’t have been more than seven. I only had coins that added up to 20 cents in that pocket. Be careful with the water. The good hotels have drinking water for free each day, but the backwoods hotels rebottle tap water, so check the seal. Enjoy. The pickpocket was kind of cute. She got her five-year-old sister to hold my hand and shine her doe eyes at my face while she went for the pocket. I actually laughed. What a wonderful tribute to a great man. His was the example that transcends all colors, creeds and nationalities. His dream should be OUR dream, every single one of us who strives for peace. Best of luck to you on your adventure to India! Amen indeed! God first loved us and he still does! So we need to love everyone just as he did! We are ALL one in Christ! Sadly sin and hatred of man’s heart has brought about this segregation amongst races! Hmm …I pray for them also! 🙏💯…thank you so much for being real as always and for sharing, I hope you have a blessed, safe and enjoyable trip to India and back in Jesus Name! Much love and kisses! 😇💕❤…P.S your next trip better be to the Caribbean lol!!! Appreciate you writing this and also be safe over there in India. Much love and peace!!! The cry of my heart is that man would “just love them ( each other) anyway regardless of the colour of their skin! Thank you for this post. Blessings to you as always and safe travels!! Well said. Look forward to hearing about India. Another one of us murdered by the us government. It won’t be the last, yet, I shall continue to rise and be the love in his memory. Consciousness unites. My life, our world, is beautiful as it is Paradise, even as everything is in its right place, so is change as harmony – the balance though heart centered living- afoot! “Secondly: I’m nervous about the bathrooms. I’m envisioning holes in the ground, a la Slumdog Millionaire.” – your passive racism comes out through these lines. Trying to judge / define a country by a movie? I am not sure where in India you are going to but rest assured that majority of the places you will get bottled water to drink. It is a shame that you won’t be able to taste the food due to your medical condition. Majority of the cities have Uber or Ola, so you don’t have to drive. Enjoy the wedding and your trip. Apologies not needed as long as we can engage in a civil discourse. Unfortunately the atmosphere is being so polluted from the top that it behooves on each of us to be extra careful of what we say or write. If there’s one thing I can mention (at least from my experience working with people from India) is not to show them the bottom of your shoe. It’s my understanding that it’s an insult in that part of the world. Good post. Insightful! Thanks for sharing. BTW… I went to India in 2015 (Chennai and other remote places) and had many of the same concerns. I was so totally blown away at how Jesus transformed me during the trip. I shed a lot of my American privileges (using the bathroom was one) in a good way. I’m sure you will be transformed too. Keep blogging! I really appreciate the way you went about expressing your feelings regarding MLK day. The quotes and scriptures you chose were really beautiful! I definitely believe in choosing love or hate any day! I hope you have a great time in India! Well said! We will definitley keep you in mind when you travel. Be sure to take us with you as I’m sure you already are planning. One thing that always resonates when I think of Dr. King and the message of civil rights. Note “if we are all skinned back what do you have?” A heart, muscles, bones, lungs, teeth, stomach, etc. You get the picture. We are all alike underneath. Man has determined to think otherwise. Stay encouraged and happy travels. Race, ethnicity, oh what a complicated topic. I (also of white, middle-class upbringing) can only vicariously attempt to understand what people who have been oppressed experience. I’ve lived and traveled in some dicy places… but I always had a way to escape (financially, educationally, social connections, etc.). In regard to being the only white person at an India wedding (what a fabulous experience… the most exciting wedding I attended was an orthodox Jewish wedding in Brooklyn… yeah, me in a yamaka). However, do not expect to have a similiar experience to a black person living the the USA in the past 300 years. Be safe. Eat wisely. I’m sure you will have some GREAT stories! You blog so well. I need to learn. Also, great read. Now, I was a bit upset that you might have trouble with the food (food is the best part about India besides the history and the music and hustle and bustle of old and new) because of your dietary restrictions. I thought I’d just venture some thoughts that could help. Now, I’m not sure what your specific diet is, but if water is the main concern, a valid one – you should try to drink mineral water from the bottle0 and you might want to avoid salads. Cooked veggies shouldn’t be a problem no? We do cook our food thoroughly. And wherever you are in the country, there’s an abundance of vegetarian food from lentils to currys. Unless, of course, you’ve been advised to avoid anything washed in the water which may be the case. Bread is also also easily available. The Indian and Western kind. Cereals are common. If you’re in a big city you can even get granola and muesli too. Of course, you must do whatever makes you feel comfortable when on the road, but I do hope you get to try a few things. A vegan friend of mine from Cali spent a month solo tripping around the country. She said she’d be back someday and though the experience was super challenging at times, she really enjoyed it and thought it was a proper learning. TMI maybe? Haha, just thought I’d get my thoughts out in case something would resonate and help. You’re welcome 🙂 hope it’s all wonderful! This was so beautiful Carolyn x It’s great that you took the time out to write this post and honour such an important and influential person! It’s okay for you to write about racism even though you’re white. I think that standing up against prejudice is something that we should all strive for, whether racism or sexism or whatever other ism, regardless of what our own demographics are. It helps that you included a quote from Martin Luther King – I read somewhere that when white people write/talk about race, we should include the words of people of color as much as possible, whether quotes, links, etc. I saw in the comments that you’re listening to people of color without getting defensive, and that’s a good thing, too. I love that; ‘unarmed truth and unconditional love’ – that makes me really have to think hard about how unarmed my truth is. Oh dear! 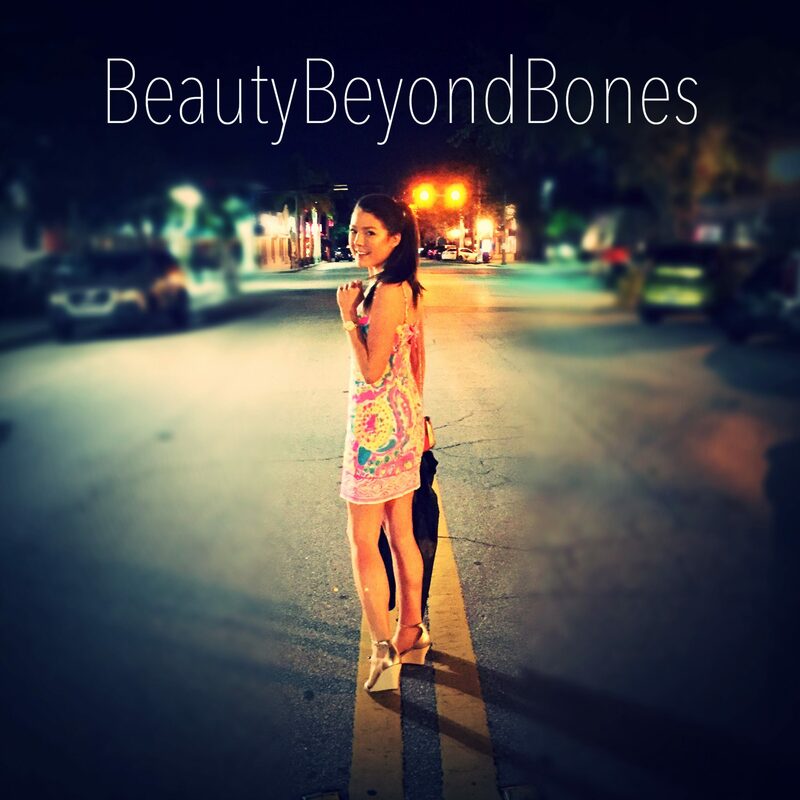 I got my heart melted reading to the end of this beautiful post, dear Beauty Beyond Bones. I especially love the last, “John 13: 34 – A new command I give you: Love one another. As I have loved you, so you must love one another;” part. Thank you and well done. I sympathize with your self-consciousness, but perhaps you’ll feel more at ease recalling the thousands of white people who actively participated in the civil rights movement back in the day. The first Freedom Rider off the bus to face the mob in Montgomery, Alabama was white, for example. The three civil rights workers murdered in Mississippi in 1964 were two white men and one black man. Not to say that black people were not affected more–of course, they were. But, in Dr. King’s day, the civil rights movement saw shared consequences. I probably should stop by more often, since I always enjoy your posts and learn from your insights.